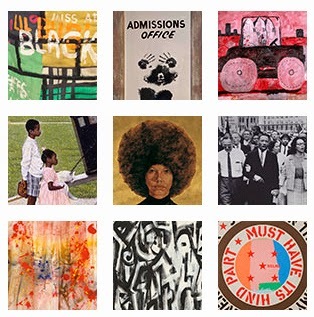 Swann Galleries is putting the final touches on our catalogue for the June 10 auction of African-American Fine Art we have titled The Shape of Things to Come, which focuses on work from the 1960s and 70s. from a decade defined by social protest and American race relations. There is growing interest in this long over-looked period of art by black artists, which is also the subject of the Brooklyn Museum’s popular show, Witness: Art and Civil Rights in the Sixties, on view through July 6.
a life-size red cedar sculpture with painted carved details, 1968. Sold at Swann in 2009. 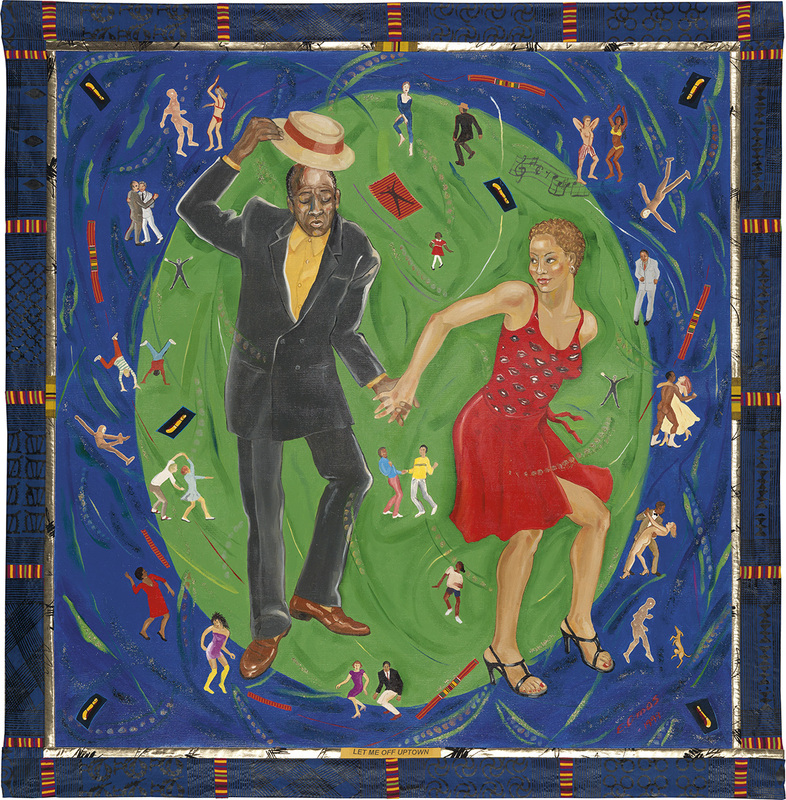 This exhibition–organized by Teresa A. Carbone, Andrew W. Mellon Curator of American Art, Brooklyn Museum and Kellie Jones, Associate Professor, Department of Art History and Archaeology, Columbia University–showcases the work of many artists who have regularly appeared in Swann auctions of African-American Fine Art. In fact, one scupture in the show was acquired through Swann: Elizabeth Catlett’s Homage to My Young Black Sisters, in an October 2009 auction. 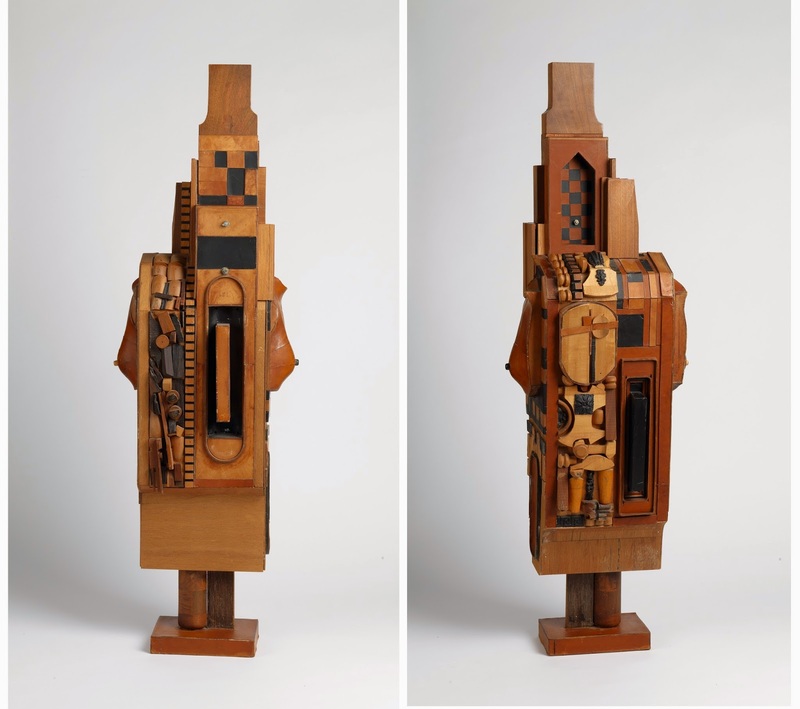 Two views of Noah Purifoy’s Untitled (Standing Figure), Assemblage construction, including wood, wood veneer, leather and found objects, circa 1968-70. At auction June 10. Also featured in the Witness show is LA artist and master of assemblage, Noah Purifoy. 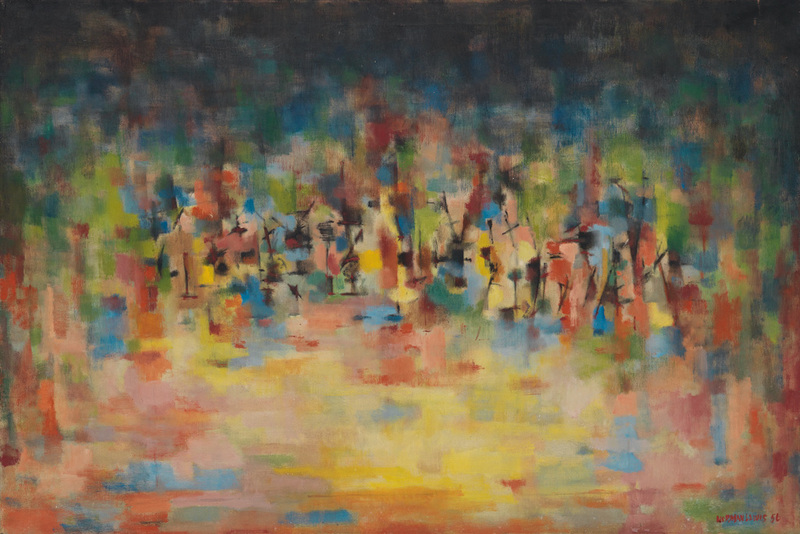 Swann is proud to be offering the first Purifoy sculpture to appear at auction in our June sale.